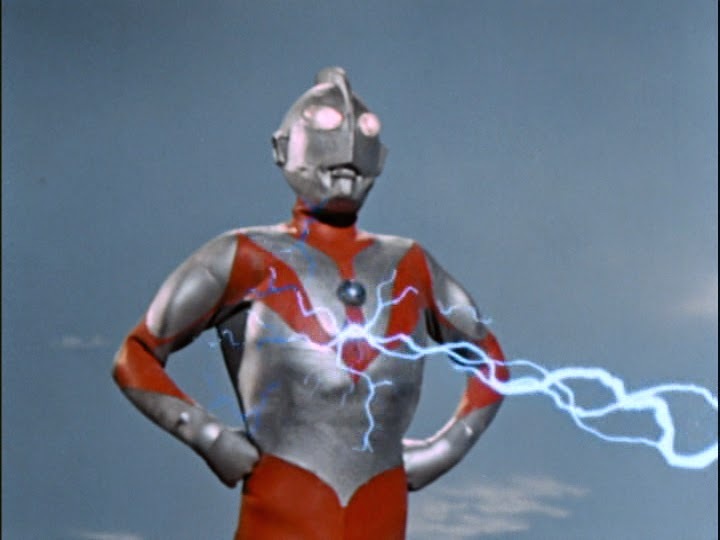 "The solar energy which gives Ultraman his superhuman power decreases rapidly in Earth's atmosphere. The timer starts to blink. 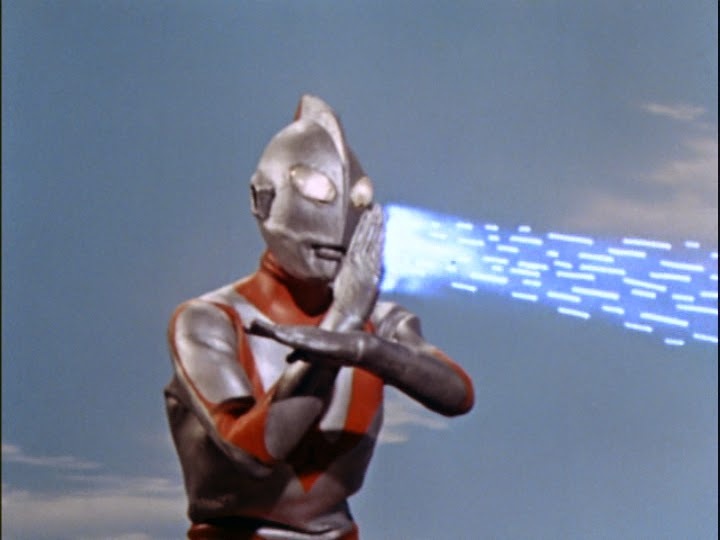 If it stops completely, it will mean Ultraman has exhausted his power... and he will never rise again." Fuji inspects the area where strange noises have been heard emanating from a well. With Hoshino tagging along, he decides to descend against Fuji's better judgment. 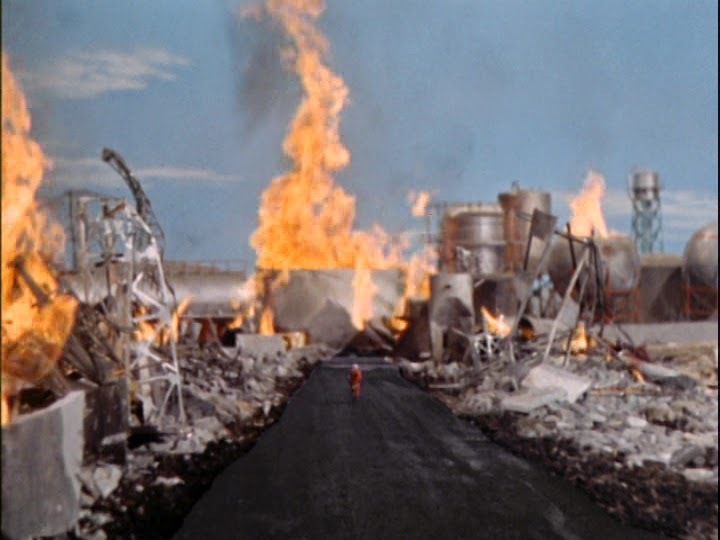 As Fuji goes after him, the ground shakes and gives way releasing an invisible monster that destroys a nearby power station. The Science Patrol are alerted to other attacks on power stations, and discover a monster materializing, and absorbing the electric current. Mobilizing with the Self-Defense Force, the Science Patrol set up defenses at the cities biggest power station, awaiting the monster Neronga's next attack. Director Iijima sticks to the directors chair here after having both directed and written episode 2 (under his pseudonym of Senzoku Kitaotoko). He wouldn't pen another script till episode 16; which happens to be the return of Alien Baltan. For episode 3, Masahiro Yamada handles scripting duties. 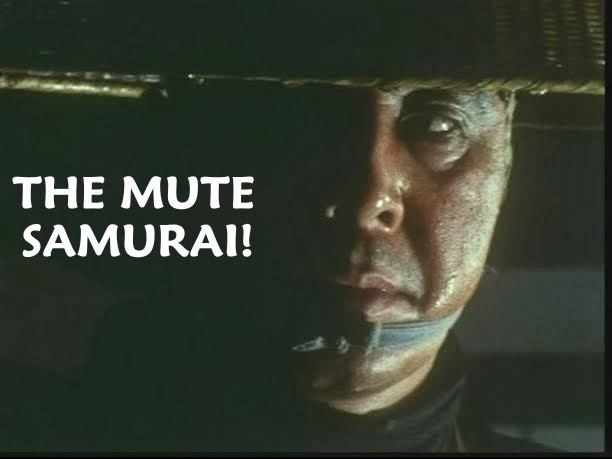 His screenplay leaves no room for character development outside of espousing Hoshino's eagerness to get in harms way. 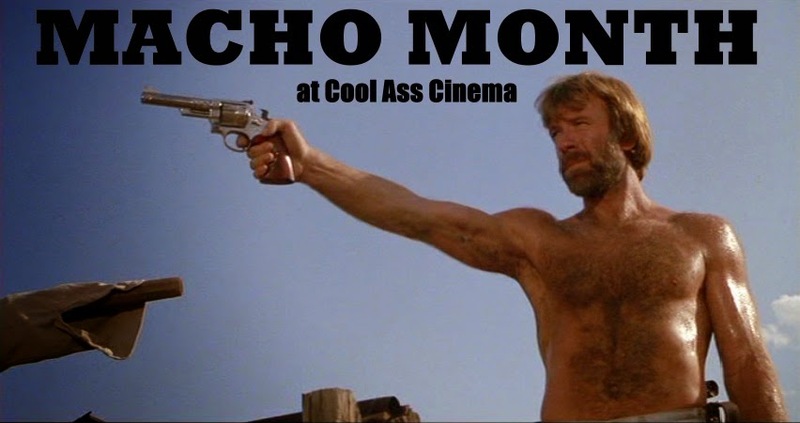 There's not a whole lot to say about this one plot wise, which isn't a negative at all. The pace is fast, and Matoba Toru's SPX direction is peppered with a variety of effects shots from the required miniatures, to composites and mattes. 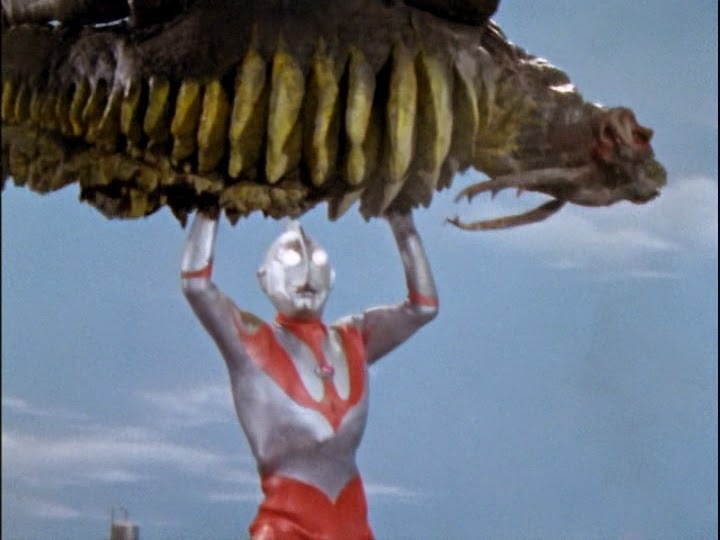 There's even a new angle showing Hayata transforming into Ultraman. The camera is over Neronga's shoulder looking down as a swirling effect encircles Hayata leading into that familiar red background as he becomes the M-78 savior. 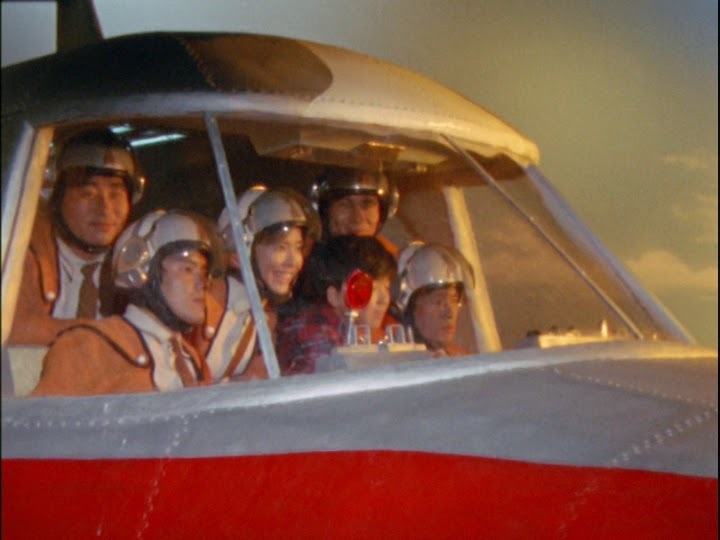 Apparently to save some money, instead of compositing Susumu Kurobe into the shot, the crew substitute a miniature Hayata instead. 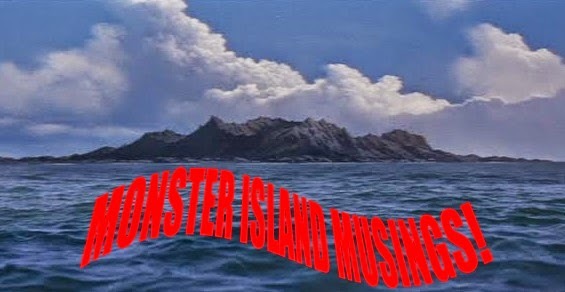 This is strictly an action episode showcasing monsters and the destruction they bring. This is the kind of episode that maintained kids attention for the 25 minute time frame. 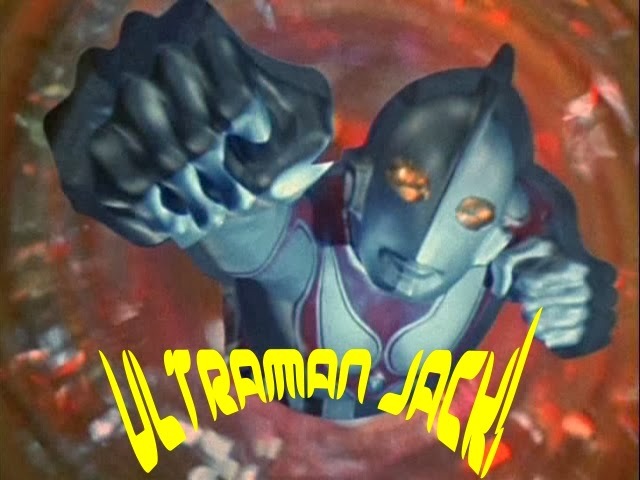 Yamada wrote six episodes of ULTRAMAN, and this was the first to carry his name. 'Science Patrol, Go Forth' was a first in a few other ways, too. 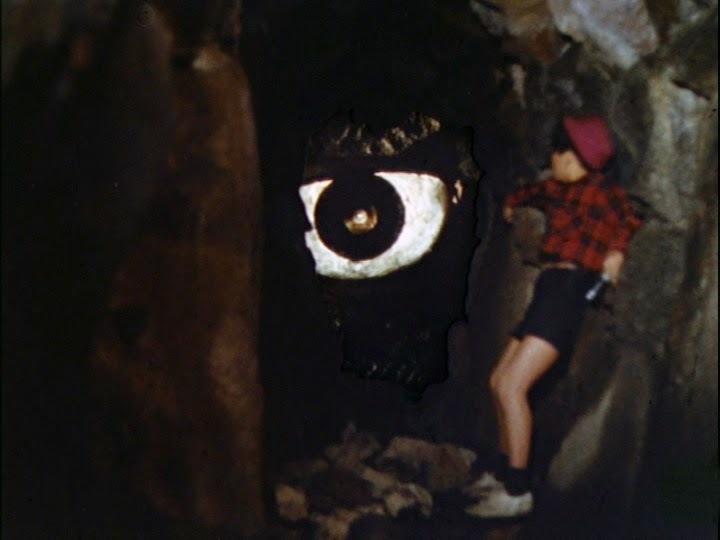 This is the second of four times the Baragon suit from Toho's FRANKENSTEIN VS. BARAGON (1965) would be recycled on Tsuburaya shows -- first on ULTRA Q in 1965, and the remaining three times on ULTRAMAN. 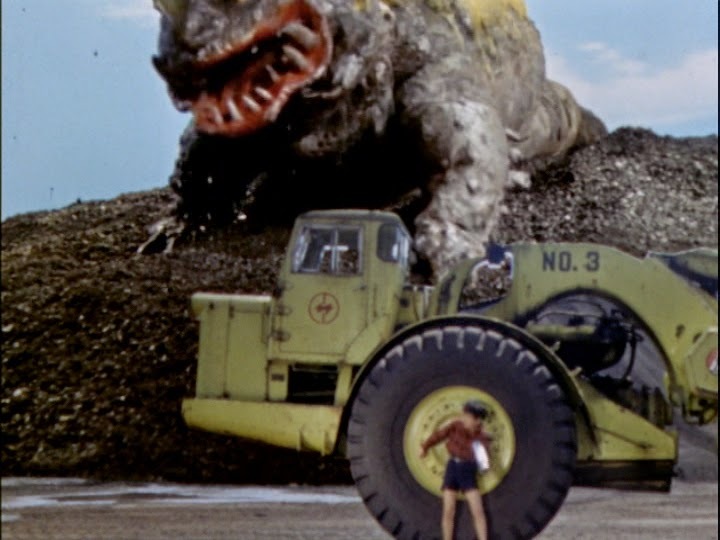 Akira Watanabe designed the beast while Toshimitsu Teizo, the Yagi brothers, and Murase Tsugizo modeled the various parts that made Baragon the burrowing, dog-like daikaiju fans came to know and love. When the suit was loaned out to Tsuburaya for ULTRA Q (in ep.18), Ryosaku Takayama modified the head turning it into the monster Pagos. 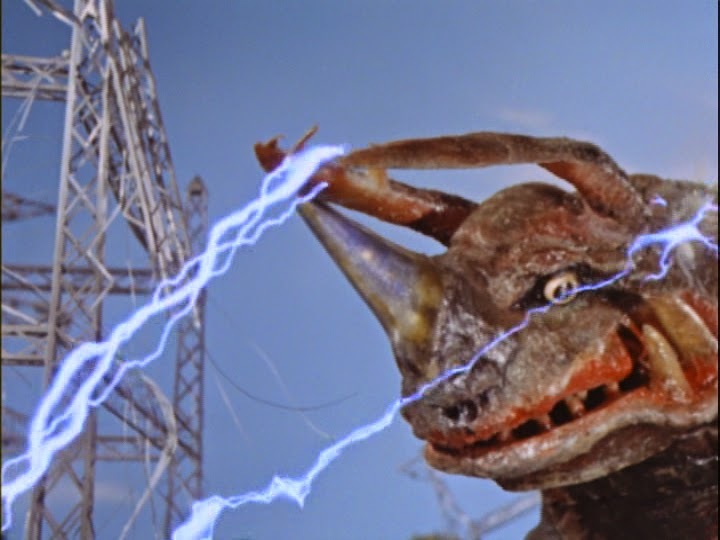 For Baragon's second metamorphosis into Neronga (it also shares the same roar), Sasaki Kimyo (modeler of the three Ultraman masks) made a new head for Baragon's body. 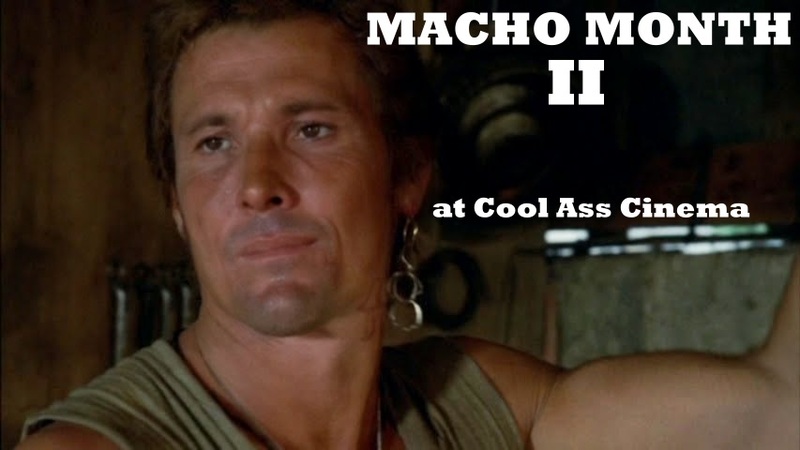 Kimyo was an ace at recycling old monster suits. 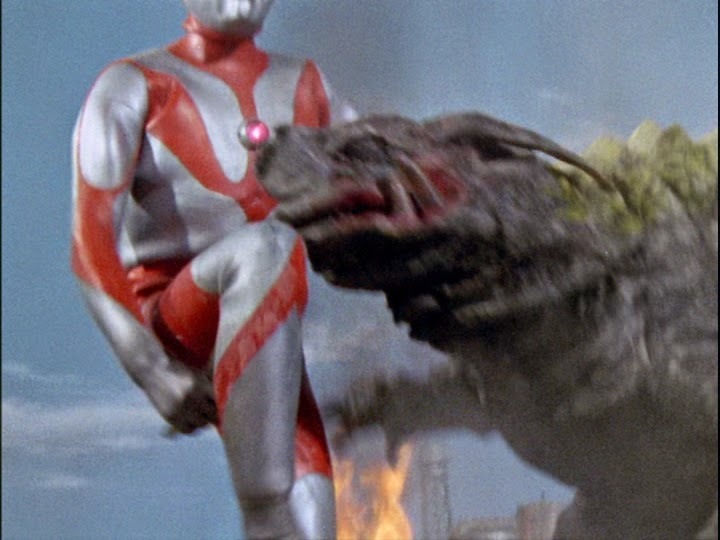 He modified the Baragon suit two more times for this series, as well as modifications made to two different Godzilla suits for use in episode 10, 'The Mysterious Dinosaur Base'. 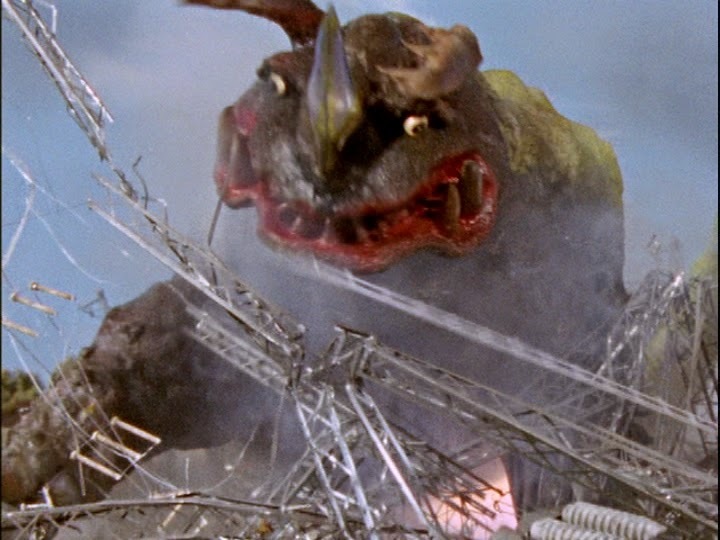 The suit was then altered once more as the monster Magular, then again as Gabora. 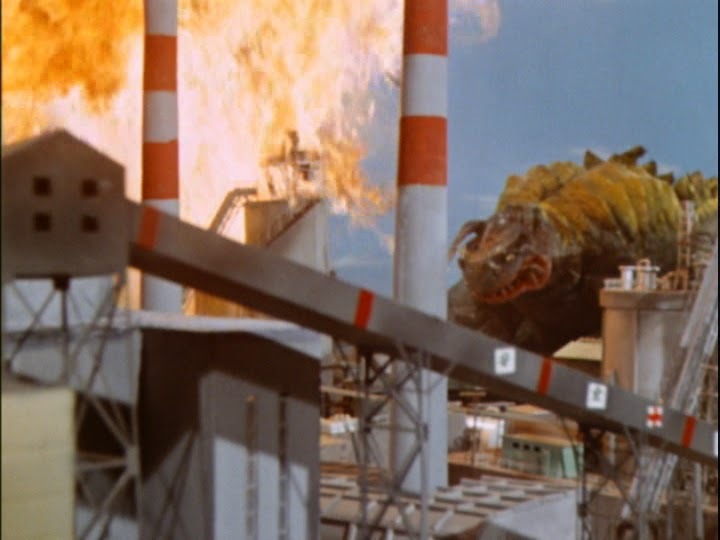 If that weren't enough, the suit was changed to Neronga yet again for promotional purposes, then back to Baragon for its return to Toho, and subsequent cameo appearance in DESTROY ALL MONSTERS (1968). Compared with other monsters, Baragon was made of sterner stuff, and would go down in daikaiju history as the most reused and abused monster suit ever created (Insert photo L to R: Baragon, Neronga, Magular, Pagos, Gabora). Those familiar with that warning orated by a narrator that Ultraman's time is running out (see quote at top) will hear those classic words uttered for the first time. 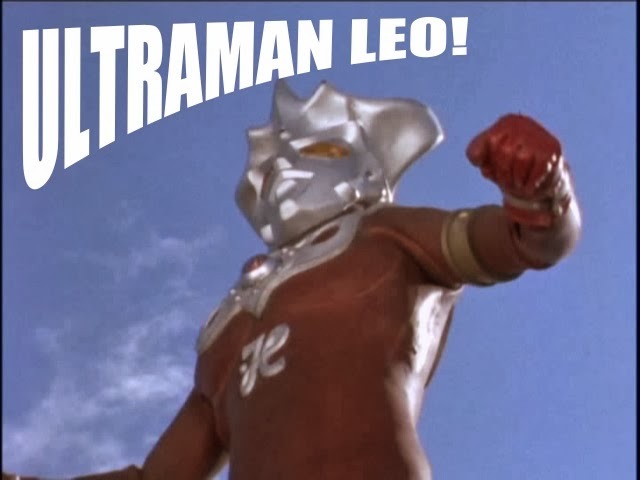 The cliffhanger speech is changed from one episode to the next whenever Ultraman's color timer changes from blue to red. Desperately wishing to be a Science Patrol member, Hoshino swipes Arashi's coveted Spider Shot gun and single-handedly takes on Neronga, successfully putting himself in harms way for the first time. No doubt every kid that saw this episode first run, or in syndication was cheering Hoshino on; or wanted to be that kid fighting off a monster. Of course, Hoshino is injured, giving added incentive for Ultraman to appear, which he does. This leads to a punishing battle where Neronga is seriously throttled. Violence towards monsters is strong here. 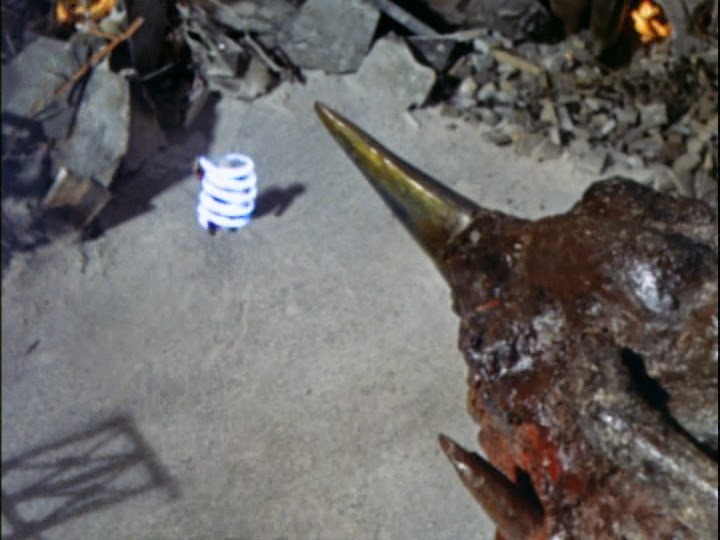 First Hoshino burns out one of Neronga's eyes with the Spider Shot, then Ultraman breaks off his horn! 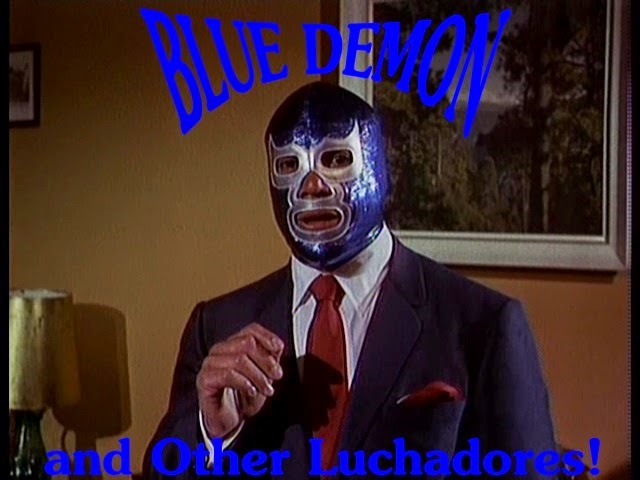 He's tossed around, chopped, kicked, slammed and thrown all over the set. It's a wonder after the amount of punishment the Baragon suit suffers that it lasted as long as it did. Like its source, Neronga is a burrowing creature. It can turn itself invisible, and has two retractable antenna-like horns that act as a receptacle for the main horn on the bridge of its snout. It can both absorb and fire off a lightning bolt attack. It's the first earth-born beast thus far; and one that has some mythology attached to it. Hoshino claims to have read about it in an old book that Neronga was defeated in olden times and buried beneath the well. 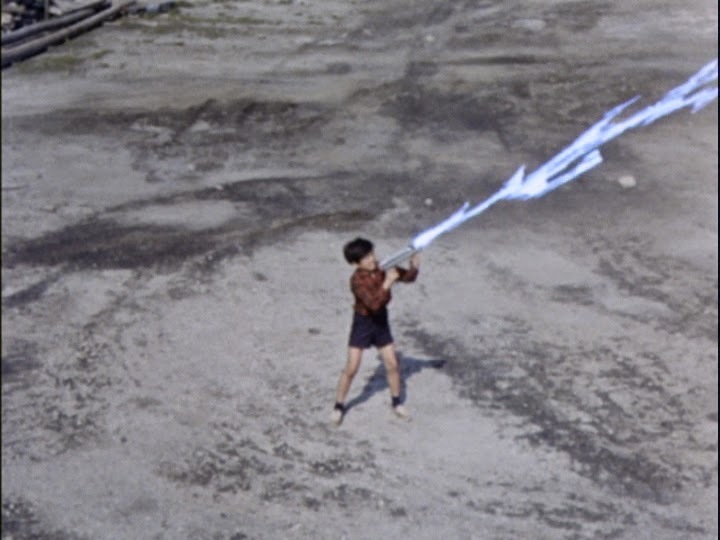 Ultraman's third showcase is a fun endeavor and a simplistic scenario; one that's indicative of the sort of storytelling that would become de rigueur over the years in these types of superhero shows. Famed Godzilla suit actor, Haruo Nakajima (who also played Baragon), wears the Neronga costume. He would play monsters on ULTRAMAN four more times; one of which was Gabora (ep.9), another monster made from the refurbished Baragon suit. WEAPONS: Spider Shot gun; Jet VTOL; Mobile Super Ray Corps. 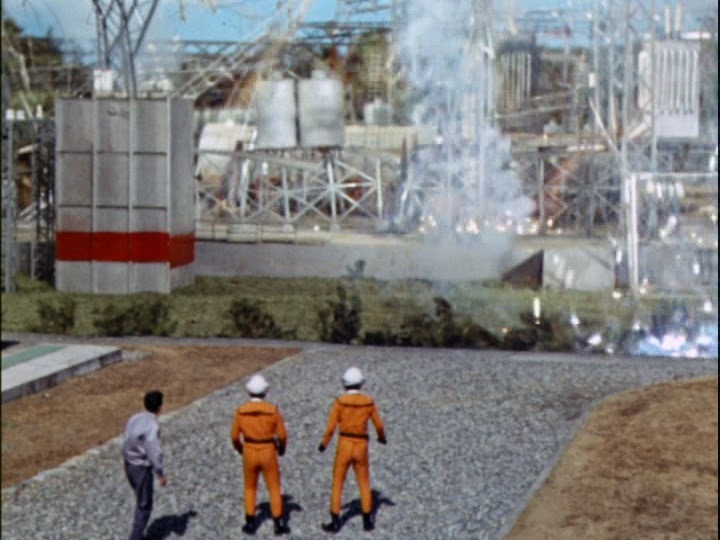 To be continued in Episode 4: FIVE SECONDS TO DETONATION!! !